Whether you’re seeking a divorce or you and your ex-spouse need to determine financial support for your child, our firm can guide you through the process. Attorney Sherry Naegele has worked in family law and domestic relations courts for more than 15 years. Let her experience be your advantage during your case. Attorney Sherry Naegele has been practicing law in the state of Ohio since 2000. Her practice encompasses all areas of family law, and her experience and compassion can help you through life’s most difficult situations. Family law cases are complex. Their reach spans beyond the husband and wife — they can affect children, siblings, extended family members, and even friends on a deep level. 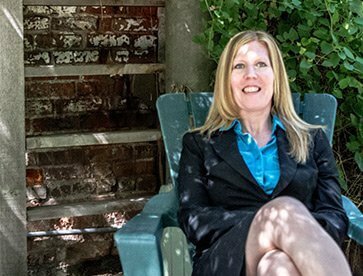 Sherry Naegele understands the inner workings of family law and knows what steps to take to ensure that your voice is heard and your family’s interests are protected. By approaching each case with a goal to resolve before the court and a willingness to litigate, Sherry will help you seek the best outcome while aiding you through the process of closure. The result is a smooth and efficient case that brings peace of mind to all parties involved. Family law is complex, but you can walk away feeling more resolved than ever. The effects of family law cases run deep. Between spousal support, divorce, dissolution of marriage, child custody, visitation rights, and child support, the issues are both complex and delicate. Sherry Naegele delivers a balance of strength as she fights for you and compassion as she guides you. Her competitive advantage lies in her past experience, where she researched, wrote, and compiled documents for judges and magistrates. While many attorneys slowly gain experience through each case they take on, Sherry analyzed all different aspects of family law cases for more than 11 years. It’s important to remember that, no matter how difficult things may seem now, your case is not hopeless. Right now, it may seem impossible to find a solution that works for you, your ex-spouse, and the rest of your family. With the right attorney on your side, however, you can move forward with peace of mind. Sherry Naegele’s office makes it easy for families in and around Cleveland to seek her legal guidance. Contact her if you live in Parma, Middleburg Heights, North Olmsted, Avon, Beachwood, Independence, Maple Heights, Euclid, Strongsville, Brecksville or any of the surrounding communities.